tradition – Sunshine. Whimsy. Tacos. Maybe Falkor should have been a Luck Pig. 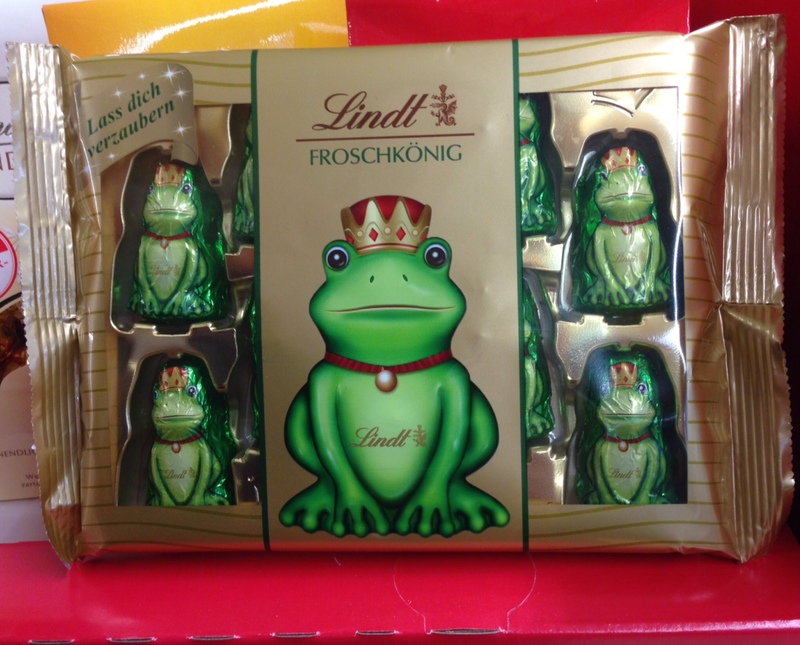 The reason for the little Angry Bird combatant snacks is that Germans regard pigs as lucky. Around the end of the year, the Glücksschweinchen (lucky piglet) turns up in various snack foods, often with a four leaf clover or a horse shoe, which are also considered to be lucky. 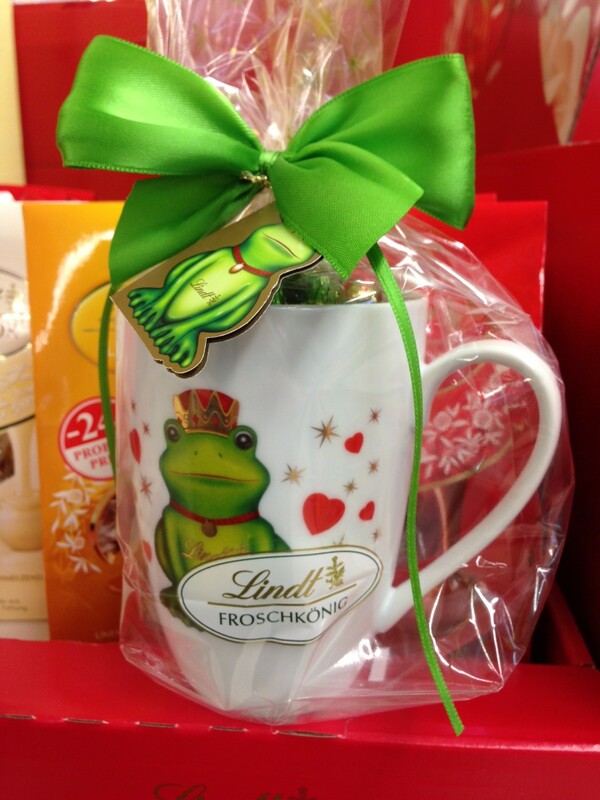 Sometimes a ladybug, also considered good luck, is present as a red foil wrapped chocolatey treat. Similarly, but not as sugary, chimney sweeps are said to be repositories of good luck, and on New Year’s Day you should do your best to shake hands with your friendly neighborhood sweep. I wonder if the City worker guys who sweep up trash at the bus stop in the morning would count. There are a slew of other superstitions and traditions- far, far too many to recount here. As we go into New Year’s Eve, I’ll leave you with one more German superstition to bear in mind- Never toast with water. It’s considered a wish for harm to befall the people you are toasting. Stick to ringing in the new year with fine Bavarian beer. It’s just better for all concerned. Happy new year, everyone! Alles Gute im Neuen Jahr! If you say “Germany” to most Americans and then ask them to list everything they know about the culture, you’ll probably get a response that starts with two words: Lederhosen and Oktoberfest. Oktoberfest is just one of many, many festivals here. I posted a gallery back at the beginning of April from a smaller festival when Palmator was tapped for the first time, back on Palm Sunday. There’s one coming up here in Regensburg called Dult. Mai Dult, in this case, because it’s in May. There’s another Dult in September. This has all the trappings of an Oktoberfest, though, including rides, crowds, tents with live music, people in traditional outfits, and, of course, beer. As for the traditional clothing, there are many different types of tracht. While the word tracht translates to costume, this isn’t just a costume for those who wear it, it’s a part of their cultural heritage and tradition. However, tracht is not traditional for all of Germany- it’s regional. It is mostly found in Austria and here in Bavaria. Tracht is often worn for festivals, but it’s not at all uncommon to see it worn here for bachelor and bachelorette parties and other festive occasions. 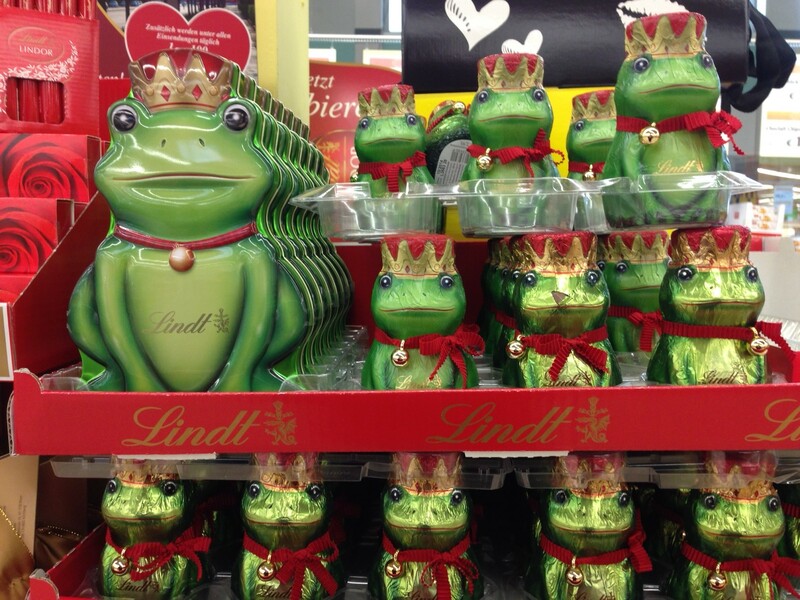 One of the many things I had to learn when I got to Germany was the different holidays. Many of the holidays that I’m used to from the US just aren’t a holiday here. Thanksgiving is a great example of this. Most of the Germans I’ve met don’t know anything at all about Thanksgiving. I got here in the middle of November, and I was fortunate enough to meet a lot of folks in the local ex-patriate crowd right away. This allowed me to attend a Thanksgiving dinner in the local Irish pub. As one of the actual Americans in attendance, I spent a fair amount of time explaining what the foods represented, and what little I could remember from grade school about the background and story of the holiday. I also fielded questions like “how on earth do you eat this cranberry sauce goop?” It was a highly entertaining time. Plus, there were twinkies. But I digress. The first of May is a public holiday here in Bavaria. It’s a holiday in much of Europe, actually, but the Bavarian holiday schedule doesn’t always match up to the rest of Europe. It does today, though, which means that most business are closed, and everyone goes out and enjoys the newly minted sunshine for a change. May Day, first observed as a public holiday here in 1933, is also referred to as Labour Day here, and I’ve been told that sometimes there are activities related to work and employment, but I haven’t seen any. What I have seen is a lot of Maibäume, or maypoles. These started to turn up at the beginning of April, and they usually show up near churches or main village squares from what I’ve seen. I’ve done a bit of research, and the date that it goes up varies- in some instances, it’s put up on May 1st, and might be left up for the duration of the month. In some cases, the pole itself is left up year round, but without the decorations. The placing of the maypole is often followed by a dance, or Tanz in den Mai (Dance into May). 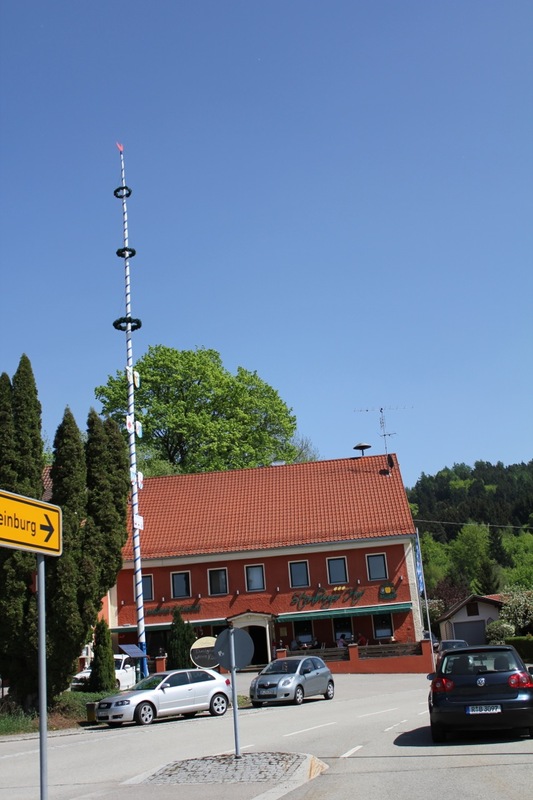 There is a wealth of information online about maypole customs and decorations in other countries, but I’m focusing on what I’ve seen here in Germany. The poles I’ve seen have been blue and white, which is the colors of the Bavarian flag. They’re also covered in wreaths and some other decorations which, according to The Google, usually depict local crafts and industry. There’s another element to this tradition though, which I quite like. On the night of the last day of April, many men erect small decorated maypoles in front of the houses of their sweethearts, with a decoration attached in the shape of a red heart with the name of the girl. The genders reverse on leap years and women leave the maypoles in front of their sweetie’s house. This is often done in secret, and it’s up to the person leaving the maypole to decide whether to remain anonymous or give a hint to their identity. Ok, not really, but I am off to Berlin. It’ll be a short trip, just tonight through Sunday. While I’m away, I invite you to marvel at the plume on this man’s amazing hat. 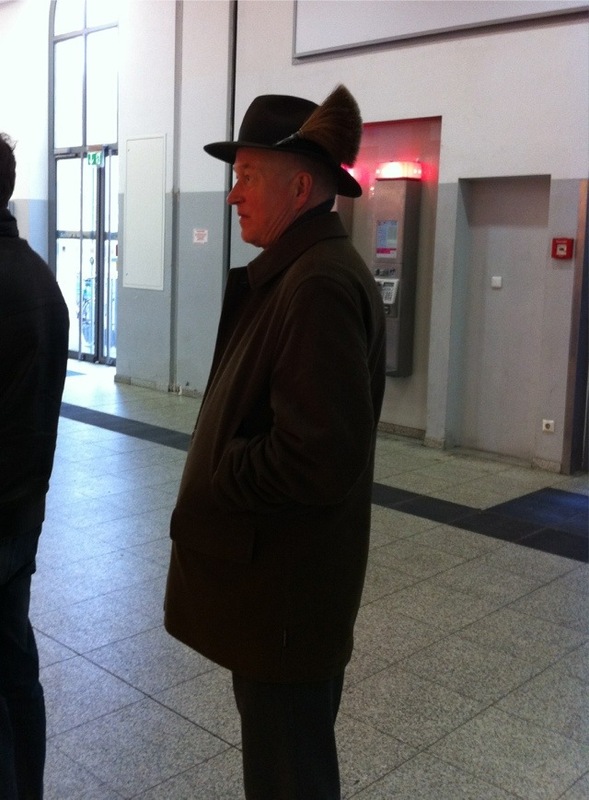 I really do love the jaunty hats favored by traditional Bavarians.